Hello there! Sorry things have been a little quite around here. It's been a busy week and I have been working away on creations I am unable to share with you right now. I though I would do something different today and share a few family pictures with you. 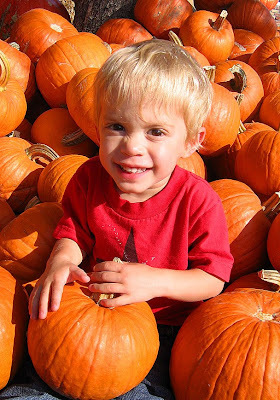 Here is a peek at what I have been busy doing this week... My son Isaiah and I at the pumpkin patch. 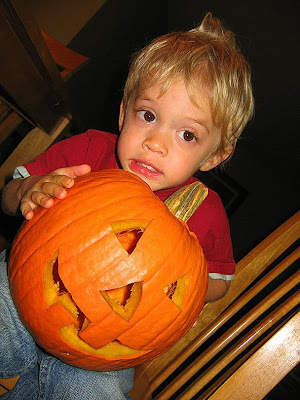 Isaiah buried in pumpkins, it's almost impossible to get this little man to smile and look at the camera at the same time. This is the best shot out of many I took of him in the pumpkin pile. This is what we were busy work on last night, Isaiah had a blast. Thanks for stopping by today, hope to have a card for you soon. Hello my friends! 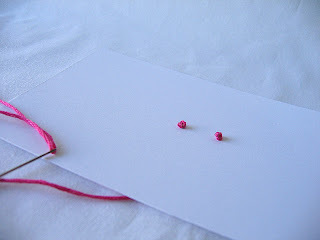 Today I wanted to share a simple invitation I made for a friend (Hi Jamie!). 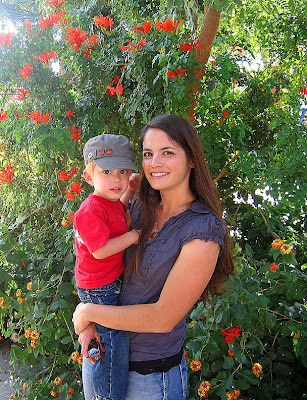 Her son is turning one and they are celebrating with a jungle theme party. 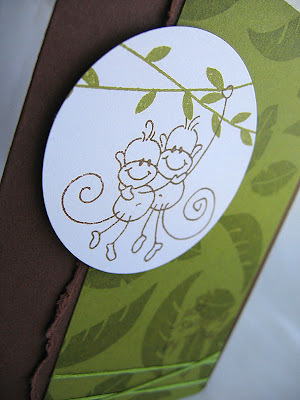 The other day we went to the craft store and she picked out these Stampendous monkey stamps for the invitations (Changito Dos). I kept the design as simple as possible since I needed to make a bunch of them. 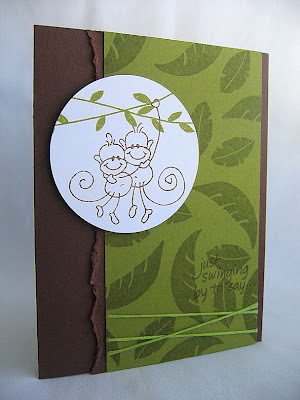 The vine image was stamped twice at the top of the circle, then the monkeys were stamped to look like they were hanging from the vines. The green panel was stamped with leaves in Versamark. For some texture and interest I added a torn edge and wrapped the green panel with embroidery floss. Finished it off with a sentiment stamped in brown. Thanks for stopping in today, hope you have a blessed day! Greetings! Over at the Hero Arts Blog they were having a Paper Tearing Challenge. 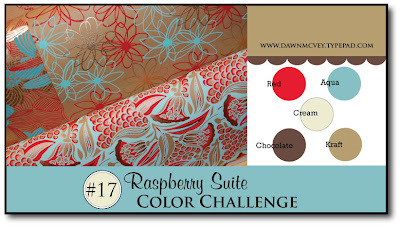 So I had combined the Hero Arts Challenge with the latest colors from the Raspberry Suite Color Challenge #18... I don't own very many of their stamps. But this seamed like a great opportunity to create something using minimal Hero Arts stamps since I only own one Christmas set, a sentiment stamp set. The tree was created by tearing layers of cardstock, adhering them together then cutting away the excess to form the tree shape. Then embellished with a raspberry star and rhinestones. The snow was torn from cream cardstock, crinkled then adhered to the card base and then the torn edge was lifted for a little dimension. 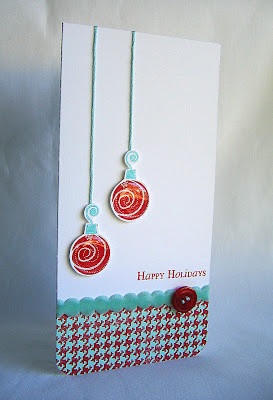 The card base was stamped with a few snowflakes from Winter Swirls set in Versamark. Hope you enjoyed your visit with me today, have a wonderful day! Happy Monday to you all! Hope you enjoyed your weekend. Can't go wrong with bling and fancy shoes! My little man and I are on our way out the door to pick some apples with my mom, sister and her kids. Thanks for stopping by today, hope you have a great start to your week. 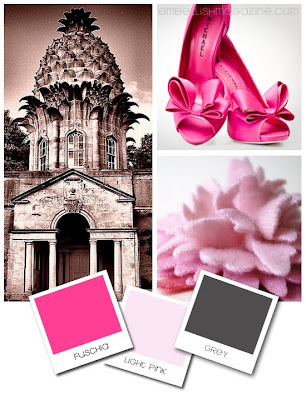 Decided to give the Moxie Fab World: Not Your Regular Ruffles Challenge another go. I cut the Christmas tree image (from Tree Trimming Trio) into sections, ruffled and adhered ribbon, then assembled the tree back together and embellished with buttons. Not sure what I think of it, but decided to share it anyways. Stamped a cream strip with my new woodgrain stamp in brown. 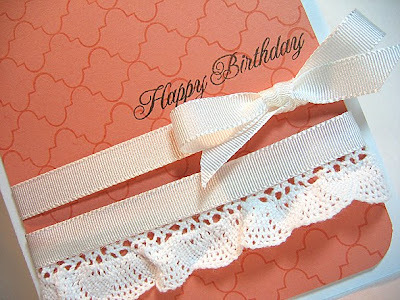 Attached a cream apron lace border, wrapped with cream satin ribbon and stamped the sentiment (from Signature Christmas). Hoping to go to the pumpkin patch after church today. Hope you have a blessed day! Thanks for visiting! Hey everyone and happy Friday! Savitri's adorable daughter Emma is at it again, she has created another great card design for her second sketch challenge. I hope I haven't strayed too far from the original sketch, but here is what I came up with... 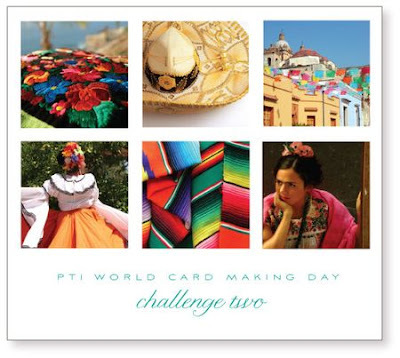 Along with our challenge cards we are to share what we were inspired by. As you can probably tell already, I was inspired by this card I posted yesterday. I just couldn't get over how cute those ornaments look hanging from embroidery floss and for some reason I can't seam to put this houndstooth stamp down either. I think I have found my new favorite Christmas color combo: Aqua Mist, Melon Berry and Rustic Cream. Thanks for stopping in today, hope you have a blessed weekend! The ornaments (from Winter Swirls) were stamped and cut out. 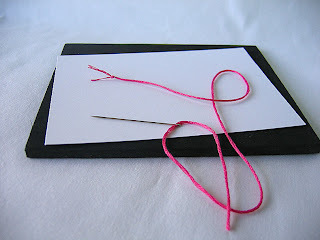 Before adhering them to the card, I pierced holes at each ornament and strung embroidery floss through, wrapped it around the card and tied the ends together on the inside. I've horded these clear epoxy stickers for too long, I love how they look over the ornaments. And how about that Houndstooth! I love it! It's one of my new stamps from Studio Calico, I love how I can create a houndstooth in any color I like. 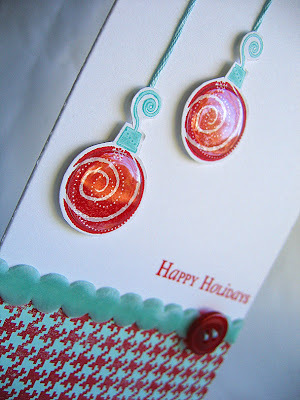 Like stamping it in red over aqua cardstock! Fun! Hope you enjoyed your visit with me today! Hello there! 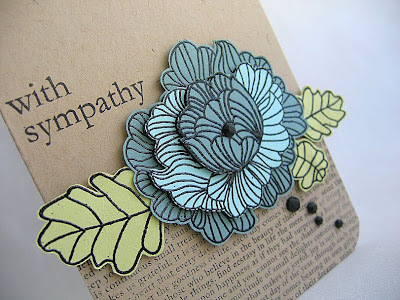 This weeks CAS Challenge is to create a Sympathy Card. Since this is a skinny card it works perfectly for the Caardvarks A Tall Order challenge too. Here is what I came up with... I've had this bloom assembled for a few weeks now, just sitting on my desk patiently waiting for me to use it. 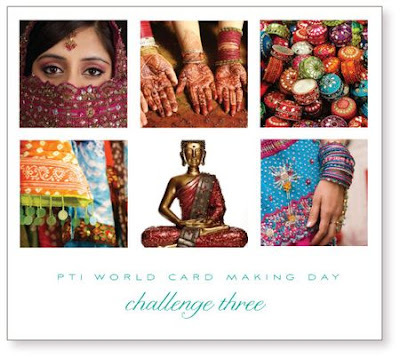 The bloom image is from PTI In Bloom stamp set. It was stamped onto Aqua Mist, Ocean Tides & Spring Moss cardstock in Versamark, then heat embossed with black embossing powder. Cut out and then layered together. The bottom of the card was samped with Background Basics: Text Style in black. 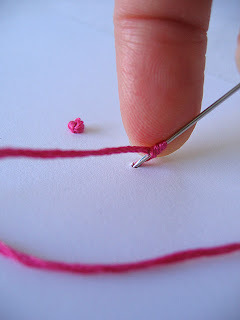 Thanks for your kind comments on my French Knot tutorial I posted yesterday, I am very glad that some of you found it helpful. Just remember if you ever give it a try leave me a link, I would love to see what you create! Card Measures: 7" X 3 1/2"
1. 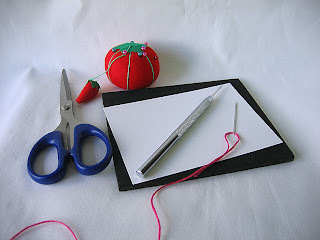 Supplies needed are: paper piercing tool, mat, cardstock with stamped image, needle, embroidery floss, scissors & a pin cushion (because with out it, I would loose my needles and step on them later). 2. Pierce all holes before starting. 3. 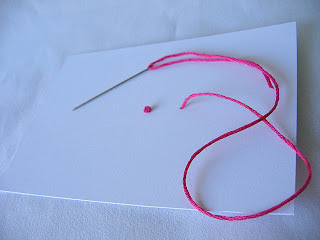 String needle and tie a knot at the end of the embroidery floss. 5. Hold the needle close to the hole. 6. 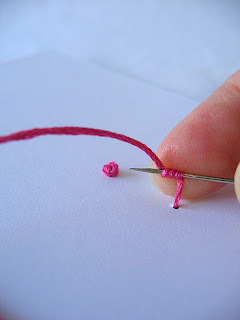 Wrap the embroidery floss around the needle three or four times, while holding the floss firmly in place with your finger. 7. 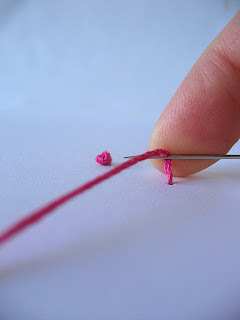 Insert the needle back through the hole you came up through, making sure to hold the floss in place. 8. 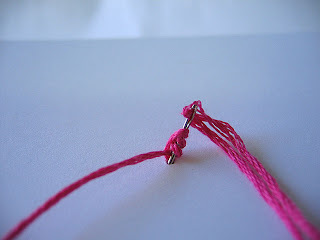 Pull the needle and floss all the way through and pull tight. 9. Repeat. And there you have it! Sorry for the format, since this was my first attempt at a tutorial I had no idea how it would turn out. I do hope you find this tutorial helpful. 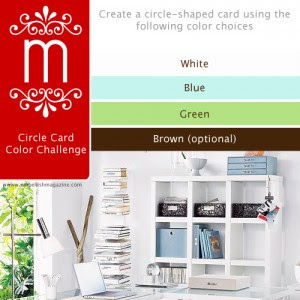 This is really an easy process and I hope you too will give it a try. If you do give it a try I would love to see what you create, so leave me a comment linking me to your project! Let me know if you have any questions at all, or if I need to clarify anything. Thanks for spending a little time with me today, hope you enjoyed. Happy Monday everyone! Hope you had a wonderful weekend. 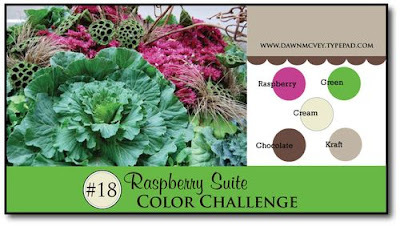 It's time now for another Moxie Fab Challenge! 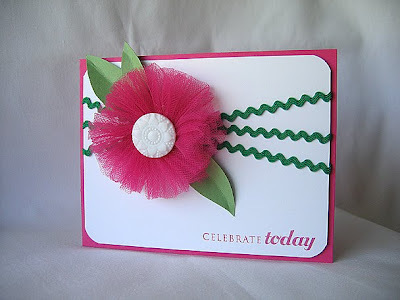 This time the challenge is to incorporate ruffles into your project. Here is what I came up with... 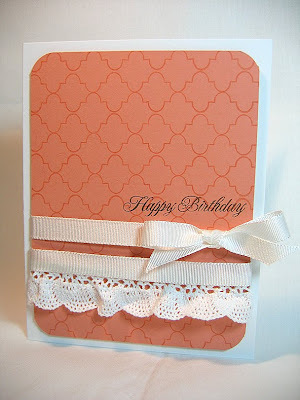 I went with a circle card again and the same ruffle technique used on this card. This is only the second circle card I have ever created, they are really quite fun! 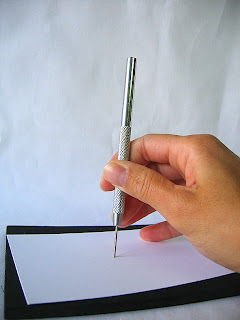 Here is a link on how to create one, done by Ashley Newell, that I found very helpful. I randomly stamped the shoe images onto the white circle. Cut one out, mounted it with dimensional adhesive and embellished it with a rhinestone. 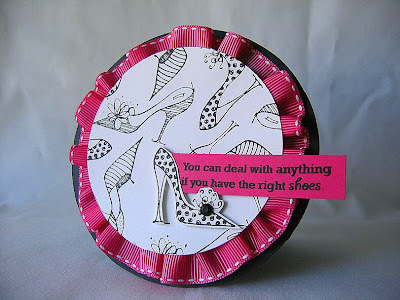 This Hero Arts wood mounted stamp set, Fancy High Heels (I can't find the actual set that I bought but here is a link to the closest set I could find), was another item that made it home with me the other day when I stopped at the craft store with a friend. I had always wanted to get a cute shoe image to go along with this sentiment from my PTI Green Thumb set. You may have noticed a little bit of a change around here. Thanks to my super sweet and very good blogging friend, Jessica, I have a wonderful new Blog Banner! Thanks Jessica, you did a wonderful job! I have truly been blessed in many ways with her friendship! Thanks for stopping by today! Hope you have a great start to your week. Happy Friday to you! Just playing around with M's First Sketch Challenge today (Hi Emma, thanks for such a fun challenge!)... I went to Michael's craft store with a friend yesterday, to help her pick up supplies for some b-day invites I will be making for her son's first birthday. While I was there I just had to browse the stamp aisle, I couldn't help but pick up a few too :). This adorable wreath was one that came home with me! 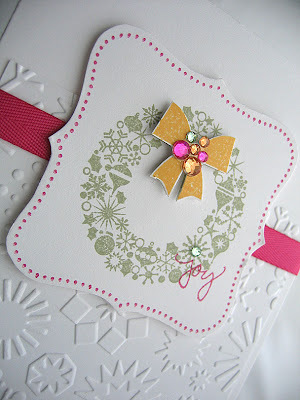 I think it really looks great with the snowflake embossing folder. 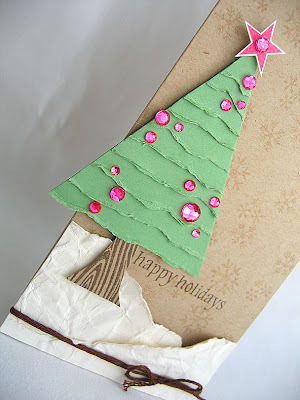 This sure isn't your usual Christmas color combo, but I love it! So bright and cheery! Hope you have a wonderful weekend. We are headed to an Air Show tomorrow. My little man is all into air planes right now. It will make for a long day but it will be fun for sure! Thanks for stopping by and spending a little time with me today! Happy Wednesday! I just can't believe Christmas is just under 2 1/2 months away! So with that in mind, yesterday I was in the mood to make a Christmas card... 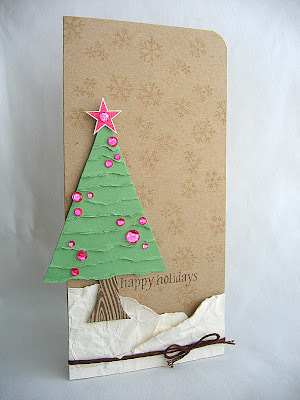 I stamped the flourish Christmas Tree, from Tree Trimming Trio, onto a piece of PTI rustic cream cardstock. Matted it with spring moss cardstock punched with the upper crest border punch. Wrapped with brown floss and then attach three ornaments in scarlet jewel. 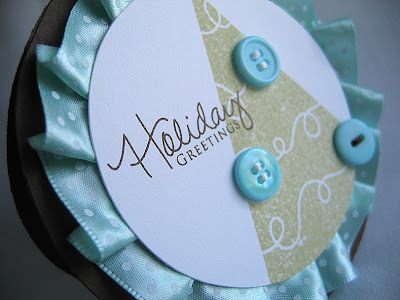 The sentiment, from Signature Christmas, was stamped onto a hand cut label from Vintage Labels. The sentiment label was a little lonely in the corner by it self, so I attach a couple strips of scarlet jewel twill ribbon. Hello all! Today's card was made using the Twitterpated Collection again. 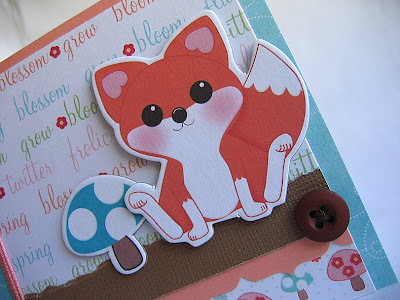 Isn't that little fox just the cutest thing, I just had to use him. The cloud pattern paper is a lot of fun to work with too. I found out that one of my new PTI colors, Melon Berry, was a perfect match to the fox and some of the coordinating pattern papers. I think I am becoming addicted to this color, it took me a while to actually break down and buy it, but I am glad I did. One of my new favorite color combos is Melon Berry, Aqua Mist and Dark Chocolate. I first cut the circle for the image panel and stamped one of the trees from Tree Trimming Trio in green. Then stamped the sentiment, from Signature Christmas, in brown over the tree. Embellished with buttons. For the ribbon, I cut another circle (same size as the image circle), placed adhesive around the edges and ruffled the ribbon along the adhesive. For extra staying power, I stapled each ruffle into place. 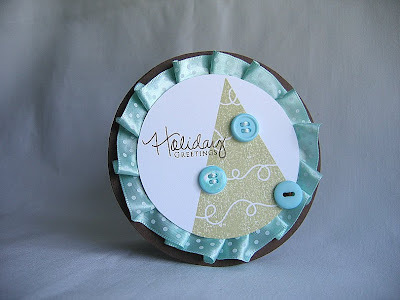 With dimensional adhesive I attached the ribbon circle onto a brown circle base then the image circle over the ribbon. I have to admit... 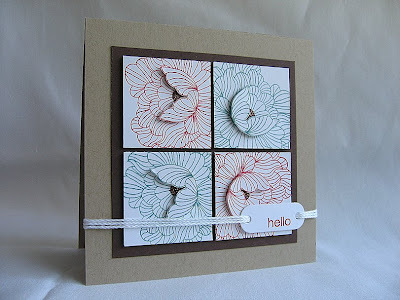 I have never made a circle card before! Don't know what took me so long to try it, I really like the way it turned out. Going to have to do it again soon. Thanks for spending some time with me today, hope you enjoyed. Hope you have a great start to your week. Hello my friends! Hope you all are having a great weekend. Just thought I would pop in and share a card with you guys today since I didn't get a chance yesterday. Most of these goodies are from the Twitterpated Collection from Imaginisce. It's a fun collections, I don't know why it took me so long to actually pull it out and play. I can hardly believe it, not a single stamp was used on this card! For some reason I usually have a hard time working with pattern papers, die cuts, rub-ons and such. 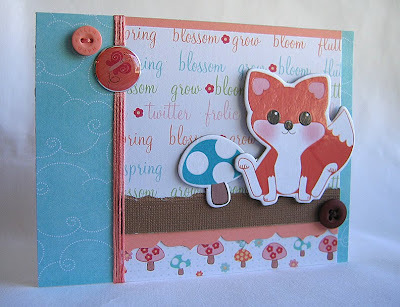 I usually feel more comfortable working with just stamps, cardstock, a few embellishments and tools. I am a stamper at heart. What about you? So are any of you fortunate enough to have a three day weekend (for Columbus Day)? Any big plans? My hubby works on Monday, so not much happening here. Anyways hope you have a good one. Thanks for visiting! Hello all! Hope you are having a great day. My day is a little on the chilly side but yet still sunny and bright, I'm loving this perfect fall day! So here is the card for today... 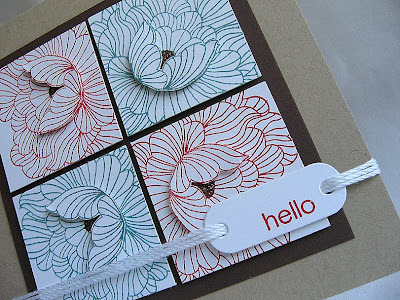 The flower image, from In Bloom, was stamped in ocean tides and red onto white squares then layered over brown cardstock with dimensional adhesive. I glittered the centers of each flower and layered the hand cut flower centers with dimensional adhesive. 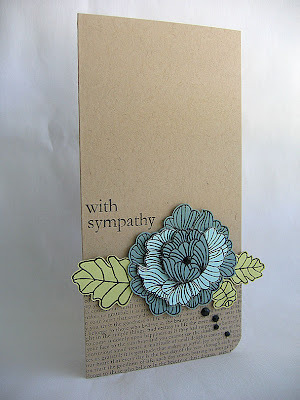 The sentiment was stamped onto a die cut tag, strung with twine and then wrapped and tied around the card. Thanks for stopping by! I hope you liked the card. Happy Wednesday to you all! 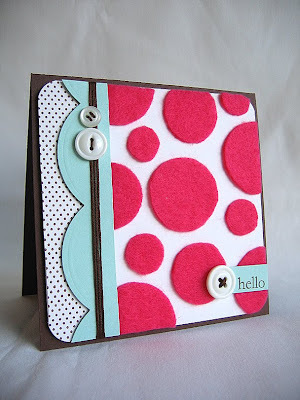 I have a fun polka dot felt card to share with you today... 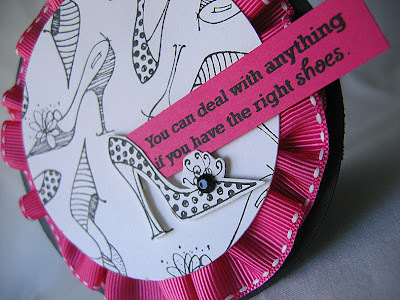 The polka dots were made using bright pink felt. 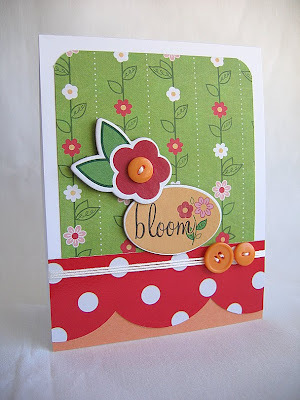 To create these fun polka dots...first you need to punch circle from cardstock, in the desired sizes, to make templates. Next cut circles from the felt, when cutting the circles I found it easiest to place the template onto the felt then cut around it. 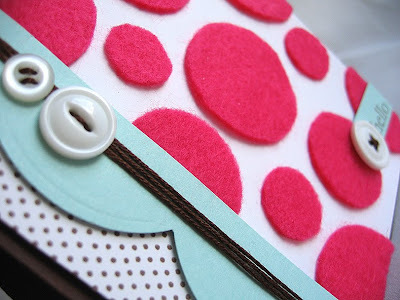 Randomly place the felt polka dots onto the cardstock, of your desired size, using extra tacky double sided adhesive tape. Then trim the edges. For the button and floss detail... all I did was thread the buttons, wrapped the floss around the cardstock a few times, then tied the ends together on the back side. Anyways, just thought I would share a little info with you. Hope you found it helpful! Thanks for stopping by today, hope you enjoyed your visit! 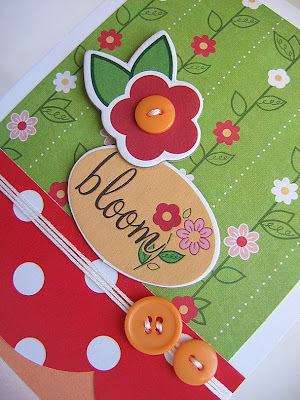 Accessories: Bright Pink Felt (Craft Store), Vintage Buttons, Embroidery Floss, Cuttlebug Tag Die, Circle Punches & Corner Rounder. Hello again everyone, please scroll down and make sure you see my first post for the day. Part of the challenge was to incorporate rhinestones, sequins & jewels in a fun and unique way. I chose to use this button that I had picked up on my last craft store excursion. It's a little hard to tell in the photo, but in real life this button is very sparkly. Looks like it is encrusted with jewels. 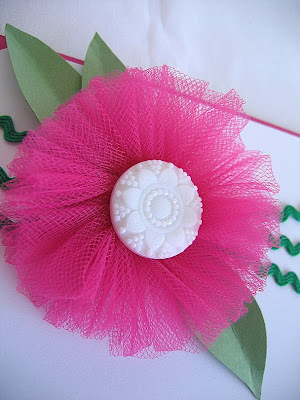 I loved the flowers that Dawn had made and just knew I had to give it a try with tulle, I love the way it turned out! The leaves were cut by hand and then creased down the center. I was inspired by the lady dancers flowing skirts, trimmed in tons of ribbon and lace, found here. Thanks for stopping by, hope you have a wonderful day! I really liked the flower paper in the picture so this is my handmade version, I randomly stamped the flower image in Versamark, red and aqua inks onto craft cardstock. Last week when my mom and I were shopping for the party we had this weekend, we stopped by the craft store and I had a chance to pick up some fun fabrics. 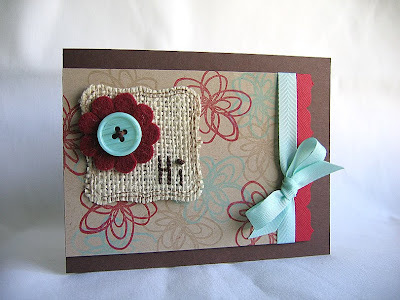 For this card I stamped a label, from my new Vintage Labels stamp set, onto some burlap and then cut it out (I don't have the coordinating dies for this stamp set, but I did find out that Nestabilities do work on burlap). 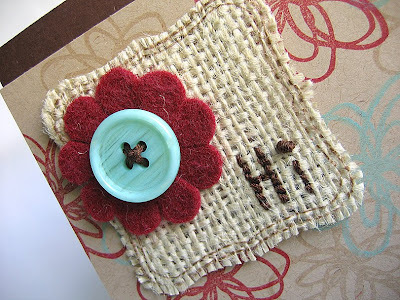 The flower was die cut from red felt then stitched onto the burlap with a button and brown floss. Using the same brown floss I stitched "Hi" onto the label. I hope you had a great weekend and thanks for stopping by!